If you have a backyard you can have a private office. 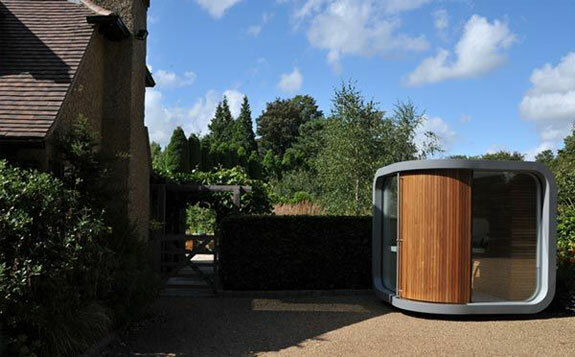 So says OfficePod, a British company that manufactures eponymous pre-fabricated one-room office structures. A self-contained space that exceeded all standard office regulations & requirements. An office that would have a minimal—or even beneficial—environmental impact. A certain aesthetic appeal when placed in a garden or backyard. An environment conducive to productive work. 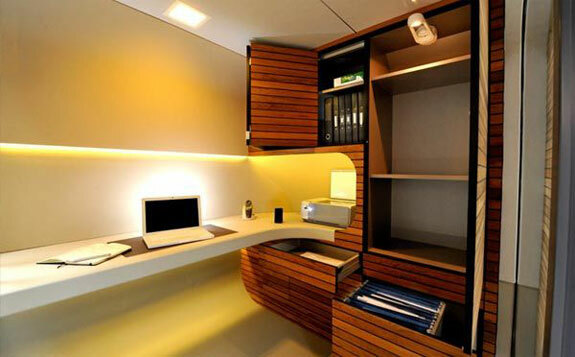 To meet that first criteria, a self-contained work space, the company made the OfficePod compact. It’s only 4.41 square meters (47 sq. feet). Power is supplied to it by way of a single extension cord run to the main house. Internet can run by a cord too but it best delivered via wifi. 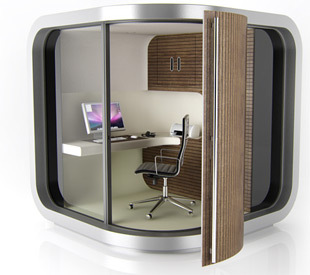 All that means an OfficePod can be installed in a few hours, usually without need for any building permits. Criteria #2, environmental friendliness, was achieved partly by using recycled and sustainable building materials. It also helps that the OfficePod is small and well insulated, and thus requires little energy to heat and cool. But most of the environmental benefit is achieved by hoping/assuming that people will work from an OfficePod instead of driving to, and working in, mega office buildings. 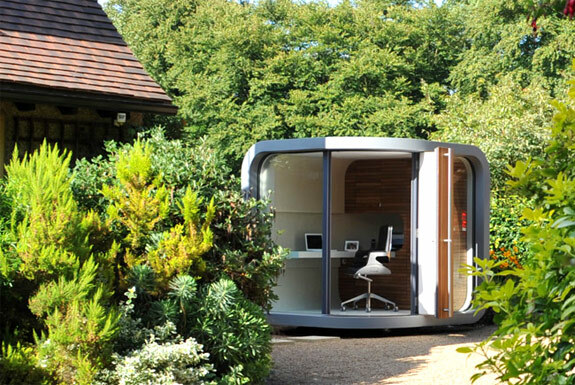 OfficePod estimates that doing the former produces 46-67% fewer CO2 emissions. As for the aesthetic appeal and conductive work environment, check out the pictures below and judge for yourself. 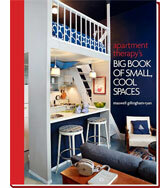 Spot Cool Stuff is a fan of the recessed ceiling lightening and wood-slatted storage units. We imagine that being within the glass walls would feel a little like being in a fish bowl but are willing to keep an open mind. So if anyone from OfficePod finds their way to this article and wants to offer us an OfficePod to try out, go ahead and contact us. We won’t say no. since i have a backyard that extends quite a bit from my house.. i’d like to put this cubicle in one corner of the backyard so that i’d better appreciate the nature and the different views..